At Newton Blossomville CE school we designed a topic planning two year cycle which covers all aspects of the Key Stage 1 National Curriculum. The following is an overview of each topic and the subject content. We created the curriculum in 2016 and have edited it yearly to meet up to date requirements and take into account pupil and parent responses. The cycle centres around themes which incoportae the core subjects of English and science and the wider curriculum. Maths is discrete but cross curricular elements are taught where appropriate. Our pupils are excited about the topic themes and gain much from the enriched curriculum through the varied trips, visits and visitors. There are times when we plan learning from pupil interest, local or national occasions i.e. a child returning from a trip abroad/ a child's family celebrations (such as Eid/ Hannukah)/the Royal Wedding/Olympics/Rugby World Cup/Milton Keyne's 50th birthday. It's important that learning is connected to real events where possible, is up to date, relevant to pupils interests, lively and engaging. Pupil's are taught skills discretely and activities and tasks are planned for to apply these to the theme. Maths is taught discretey but where possible linked to the topic and real life problems. We are passionate about our creative curriculum, with topics such as 'Superheroes', 'Out of the Egg', and 'Commotion in the Ocean' there is much fun to be had whilst learning. At Newton Blossomville School we also love our trips, Warwick Castle, The Science Museum and Birmingham Sealife Centre to name a few! Along with country walks, forest schools, cooking and visitors there's always plenty of excitement in our learning. You'll find here information on our 2 year topic cycle and what your child is learning each term. In our school our EYFS class is our first class, children start in the September in the year in which they turn 5. The curriculum is based on 17 areas of learning which are broken down into milestones culminating in the Early Learning Goal (ELG). Children's learning is focused on three characteristics of effective learning: playing and exploring, active learning, creative and critical thinking. Teaching in EYFS is centered on pupils interests, the 17 areas are planned for through a theme, such as 'growing', or centered around a book, activities are planned for inside and out so children can access the 17 areas of learning. Through skilled questioning teachers take pupils learning forward guiding them to discover new skills. Most learning is child initiated a small proportion is teacher led, such as handwriting, letter formation, maths skills, reading and phonics. What makes an effective learner? Where to view more information about the curriculum. At Newton Blossomville School we use 'Read Write Inc' as a scheme for our daily lessons for learning sounds, decoding, blending, reading and writing. It is a powerful scheme which sees children at the end of foundation stage ready for year 1 with a high level of decoding and blending skills. 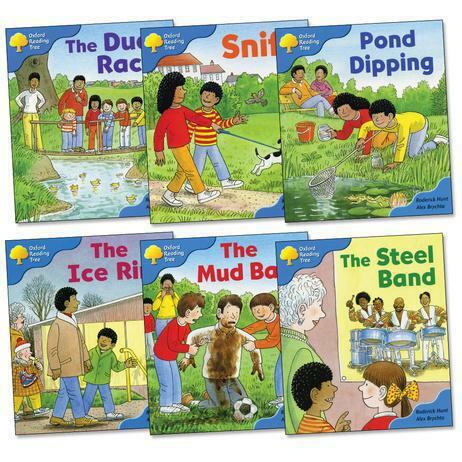 At Newton Blossomville School we use a range of books from Oxford Reading Tree and Read Write Inc as our reading schemes. The children's books are changed daily and children are encouraged to read at home regularly. The children are surrounded by books in school and the ethos is fostering a love of books and a love of reading.